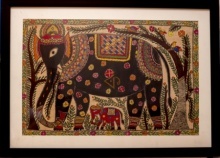 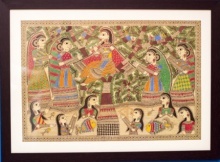 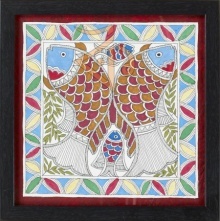 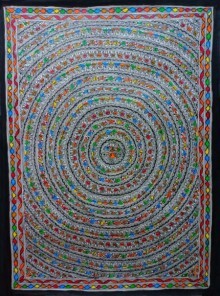 Also known as Mithila painting due to its origins in the Mithila region of India and Nepal, Madhubani is a traditional Indian folk part made on canvas, cloth or cow dung washed hand paper. 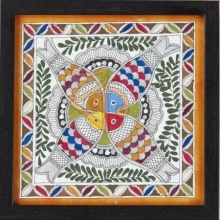 Natural dye and colors are used in creation of Madhubani artworks with geometrical figures and vibrant colors being key elements. 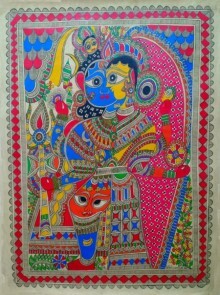 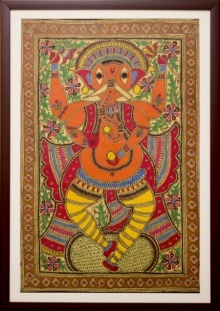 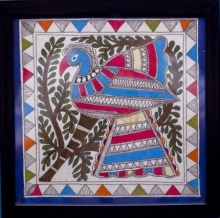 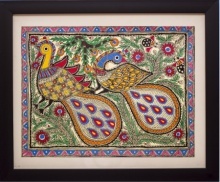 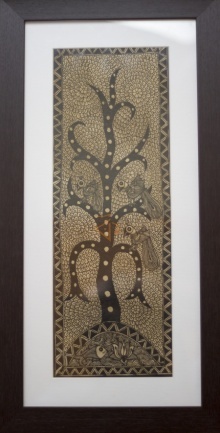 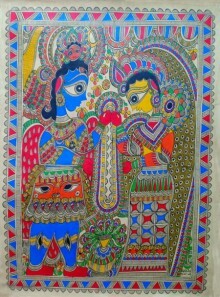 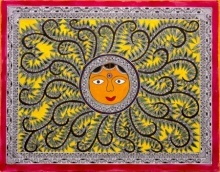 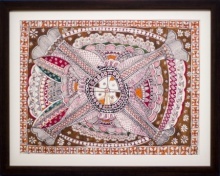 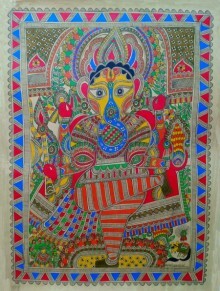 Commonly depicted subjects in Madhubani paintings are Ardhanarishvara (depicted as half male and half female which is believed to be a composite androgynous form of the Hindu God Shiva and His consort Parvati - a unison of supreme powers), Mythological characters (Ram, Sita, etc), Marriages, Festivals, Sun and Moon and many more.